Did you know billions of dollars are donated to nonprofits each year? Have you applied for a grant lately? Have you tried crowdfunding? If you have your 501(c)3 status but don't know where to start, GrantWatch.com is the perfect site for you. The website is genius. GrantWatch helps you search for grants and provides you with the complete information needed to apply for the grant. This is, of course, after subscribing to one of our many reasonable plans available. Make sure you also have a clear idea about your eligibility. Without proper eligibility, your grant application or proposal will not be considered by the funding source. On GrantWatch.com, the eligibility is listed or linked under the eligibility section of each grant. Remember, to view this, you must be a subscribed member! Once you subscribe, you can search from thousands of grants among over 50 categories. 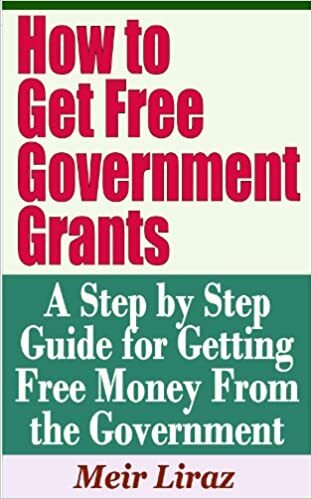 If you doubt what we have to say, read this book on kindle: How to Get Free Government Grants – A Step by Step Guide for Getting Free Money From the Government. It empowers readers to apply for federal grants. Remember, grants are not like loans, so they don't have to be repaid! If you're a nonprofit, you know nonprofits are made possible by grants. These grants may be federal or not. If you're interested in federal grants, read this guide on how to get money from the government. Wait, there's more. Need a grant writer? Go to GrantWriterTeam.com, an affiliate of GrantWatch.com. A grant writer can help you express your organization's goals and project details. With the proper representation, a funding source is more inclined to consider a grant proposal. GrantWriterTeam.com is another brilliant website, which helps you with the process in finding a grant writer. Can we say, "one stop shop"? Just click on Request a Writer and fill out the application. There is a $50 fee attached and once we review your request, you will be connected with one of our expert grant writers. Don't have the budget for a grant writer? Don't give up. Uhelpfund is here to the rescue! Uhelpfund is a crowdfunding site. Crowdfunding is like fundraising for your cause. It is taking the cause to the people and allowing them to decide to fund your project or organization. With 100 categories to choose from, Uhelpfund helps you express your needs. Most importantly, it allows people to contribute to your cause. The categories allow you to detail your project and increase its visibility on the site. Come on people, today is the day. You need this money, go get it! About the Author: Tracy is Customer Service and Support Rep at GrantWriterTeam.com As she acquires knowledge regarding grants, she has made it her mission to educate nonprofit organizations.